Find a free web host by searching our directory. Invpsus.com is introducing it’s updated Pure SSD VPS packages with advanced features. 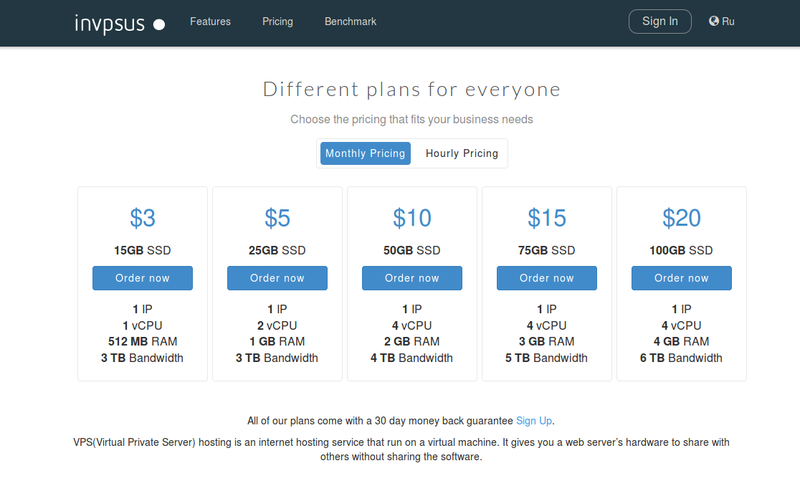 Our VPS servers are really big, fast and powerful, but one of cheapest in the industry at the same time. There are different plans for everyone, you may choose the pricing that fits your business needs - it includes both monthly and hourly prices. We are using KVM virtualization. Your RAM and Disk allotments are dedicated and guaranteed. We aim to use only top-notch hardware resources for the best performance of your websites, that’s why your VPS will be hosted on powerful Eight Core enterprise-grade Quanta servers in Netherlands DC. Free web hosting Probably The Most Reliable Free Web Hosting Provider. Hosting Over 1 000 000 Customers.